This guide covers settings for the DataWedge app, including enabling and disabling DataWedge on the device and the management of Profile and Configuration files for backup and mass-deployment. 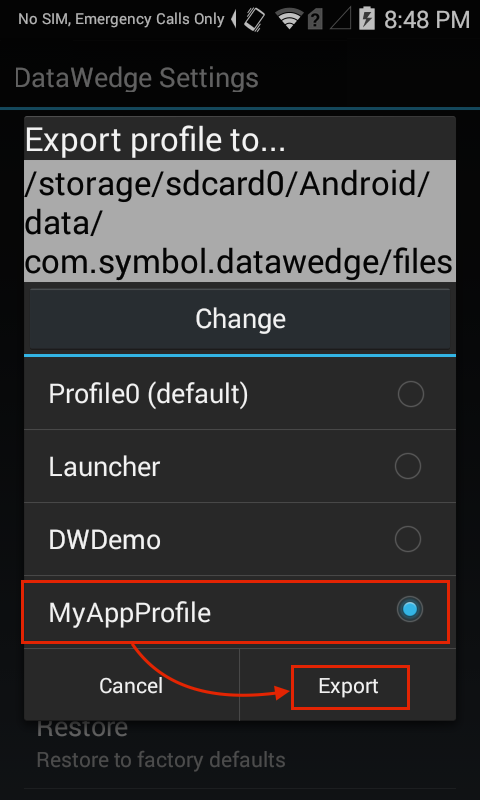 For information about creating and implementing Profiles and Plug-ins, see the Profile Guides. Once DataWedge is set up and configured as desired on a device, settings can be saved to a file and distributed to other devices either manually or using a Mobile Device Management (MDM) system. If more than one Profile is to be created, exported and distributed at the same time, it might be beneficial to create and export the Profiles together as a single DataWedge Configuration file. 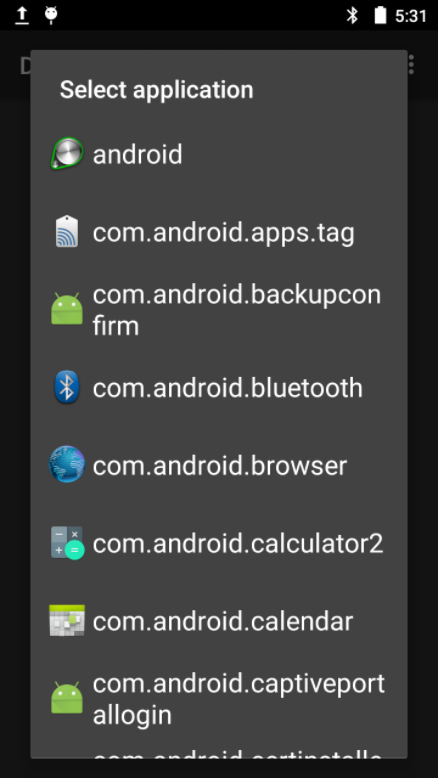 Profiles created on one device might be incompatible with another due to variations in device peripherals and configurations. Importing a Profile enables settings created elsewhere to quickly be activated on a device. This enables organizations to develop and fine-tune Profiles in a test lab, for example, before exporting and deploying them to the field or across an enterprise. For more information, see Export a Profile, below. While the Profile importing process is similar to that of the Configuration file, the Profile itself is very different. A Profile is a single group of settings that control how DataWedge will behave with one or more specific applications and devices. 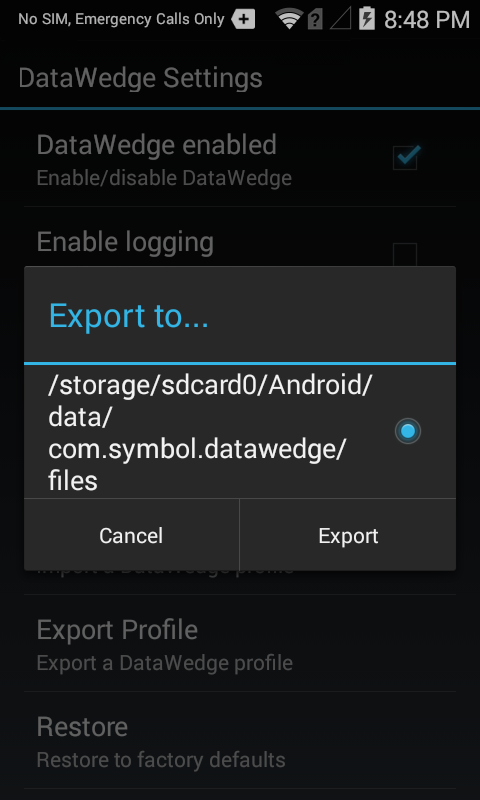 A Config file can contain numerous Profiles as well as other DataWedge settings. 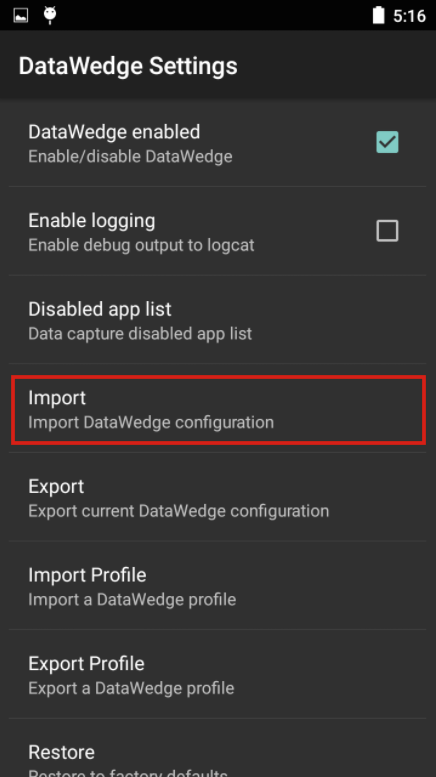 Importing a Config file overwrites all previous DataWedge settings and Profiles. 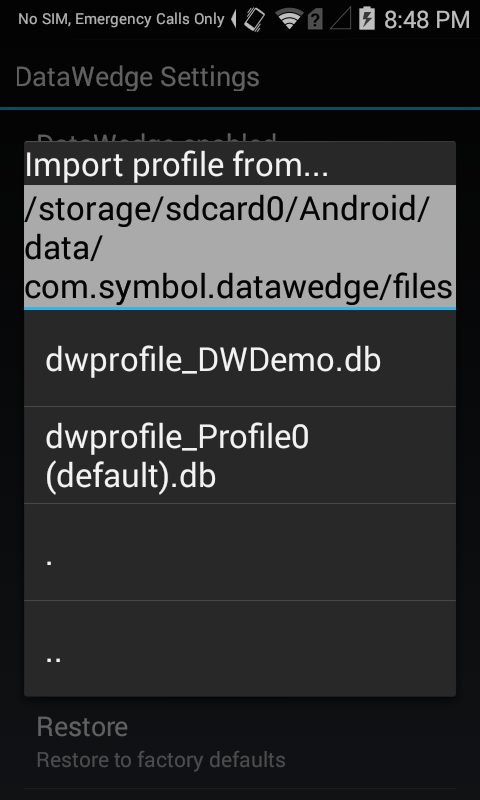 Importing a Profile simply adds the imported Profile to the list of available Profiles on the device. 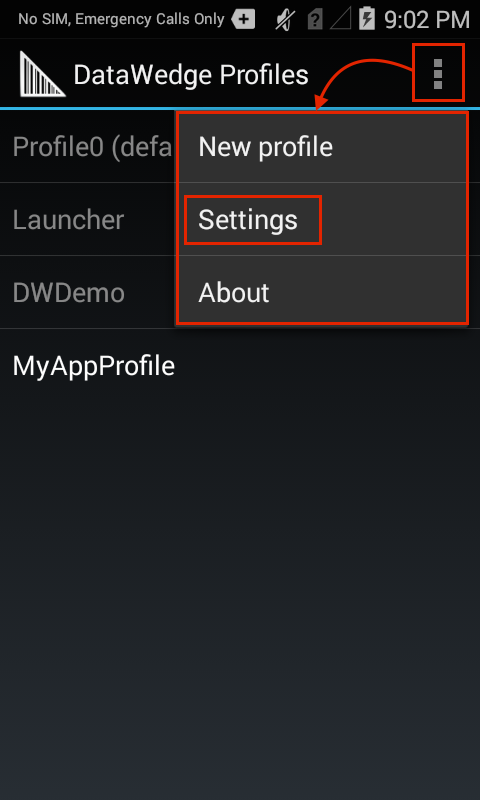 If a Profile exists on the device with the same name as the one being imported, the existing Profile will be modified by the imported one. 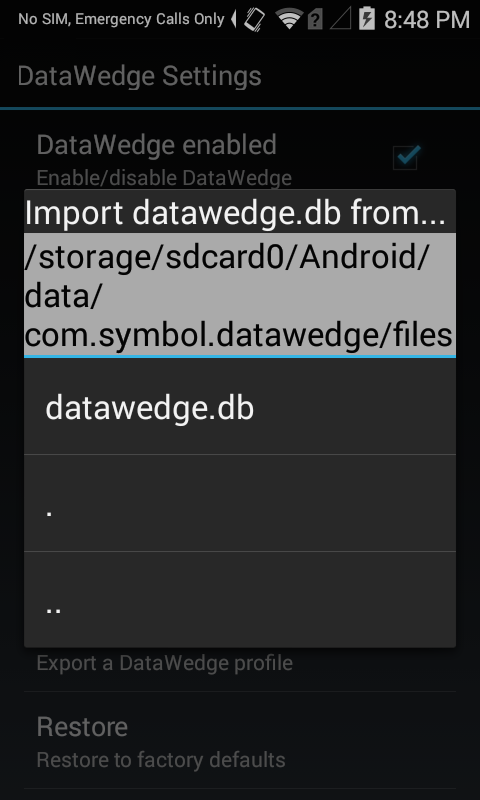 DataWedge Profiles are always named dwprofile_profilename.db. 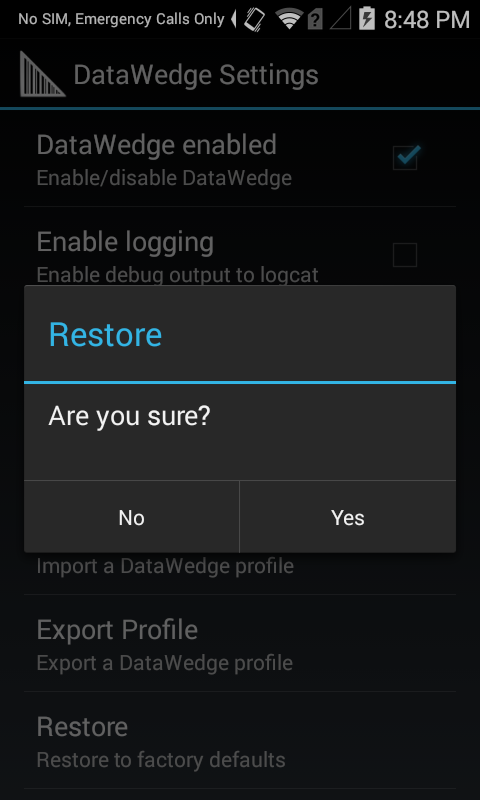 DataWedge has the ability to reset all user-configured settings and restore them to their original factory defaults. This action cannot be undone. For the best experience, Zebra strongly recommends that users be advised to exit DataWedge before new config files are remotely deployed.